Edited: Sorry for the error in the headline! I’ve changed it back to Motorola. We don’t have to wait for 1 August 2013 to see what Motorola has got to offer since its acquisition by Google, the company just announced three new devices – the Motorola Droid Ultra, Droid Maxx and Droid Mini, because all new smartphones must have a “mini-me” version. These new devices were announced at a Verizon event in the U.S. just hours ago and as with most Motorola devices, they feature a Kelvar unibody that is thinner and stronger than before. As we’ve seen before in a leaked video promo for the Motorola Moto X, these new line-up of Droid devices from Motorola also features the latest software from Motorola. Droid Command Center is an exclusive homescreen widget for users to easily access notifications such as text messages, missed calls, battery level and weather. It also serves as a gateway to new features like Wireless Display to push content into a compatible HDTV. The new UX also allows users to have a Touchless interaction with their device by simply saying “OK Google Now” to make it wake up. Taking pictures with the 10MP camera on all three devices has also been simplified and it’s as easy as shake, tap and swipe. Shake the phone twice to make a quick capture, tap anywhere on the screen to snap a picture and swipe up a picture to instantly share it with fellow new Droid owners nearby. Visit our previous post to check out some of these new features. Hit the break to find out more about the individual devices. 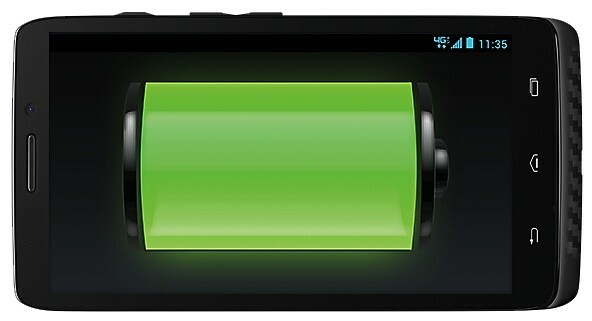 The Motorola Droid Ultra is a 5” 720p device that is touted to be the thinnest 4G LTE smartphone available in the market right now, measuring at only 7.18mm thin. On the inside, it packs a brand new 1.7GHz dual-core X8 Mobile Computing System for 24% faster processing power than before, and better graphics performance that are twice as quick and dedicated for both contextual computing and language processing. The device will be released in two color options – Black and Red, at its launch date scheduled for 20 August 2013, in the U.S. of course. Other specs include Android 4.2.2, 2GB of RAM, 16GB of internal storage, 2MP front camera and NFC connectivity. 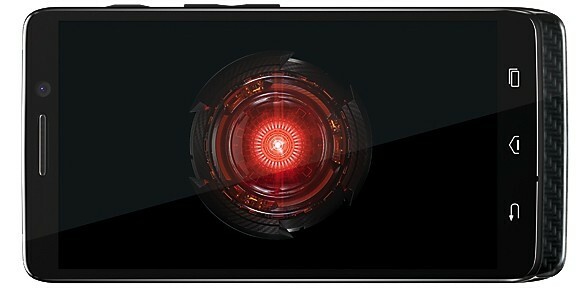 As with the Droid Ultra, the Maxx also features a 5” 720p AMOLED display. Powered by the same processor with 2GB of RAM and 32GB of internal storage, what makes the Maxx special is its super large battery of 3500mAh that can last up to 48 hours. 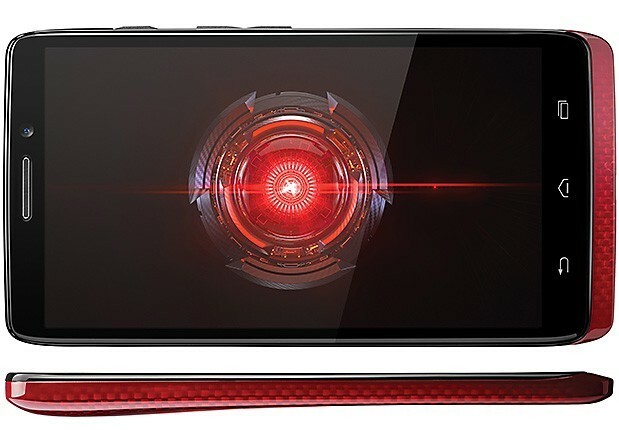 While it’s thicker than the Droid Ultra to allow for a bigger battery, it is still 9% thinner than the previous generation Maxx device, measuring at 8.5mm thin. The Droid Maxx will also be launched on the same date as the Ultra – 20 August 2013. Finally, because 4.3” is the new mini, Motorola and Verizon also announced the Motorola Droid mini that basically features almost identical hardware as its bigger siblings, except that it comes with a 4.3” 720p display, is 8.9mm thick, and features a moderate 2000mAh battery. The Droid mini will launch with Verizon in the U.S. on 29 August 2013.